This leading retailer of casual apparel for men, women and children operates over 1,000 stores in the United States, Canada, Japan, Italy and the United Kingdom. It also sells products through online stores and catalogues. Merchandise is shipped to these stores by air and sea freight from three distribution centers. The company lacked visibility into its supply chain. Its homegrown system involved spreadsheets, emails and phone calls with international business units and over 30 trading partners. With a 12-hour time difference between partners, accurate and real-time information was nearly impossible. The company’s logistics team needed a single, detailed level view of shipments and orders in-transit to track, manage exceptions, proactively pinpoint in-transit delays and respond to any potential logistics crisis. “We needed to create reliability in our global supply chain with the ability to respond to actual and potential issues and tightly collaborate with our merchants, distribution centers and service providers,” said the company’s Vice President Global Trade & transportation. Order, Shipment and Inventory Visibility– Users can precisely monitor the inbound and outbound movement of goods at the shipment, order and/or SKU level, using over 350 reference points. Data Quality Management– Amber Road’s solution provides best-in- class information accuracy for all messages exchanged between trading partners with our industry leading Data Quality Management (DQM). Advanced database technologies form the foundation for DQM, which is supported by a team of data quality analysts and proven, continuous data improvement methodologies. Alerts & Event Management – Users can proactively alert supply chain partners and key stakeholders of key events and at-risk milestones. Integrating with the company’s existing Oracle Retail Merchandising System, Amber Road’s Supply Chain Visibility solution allows merchants to monitor the delivery status of key orders and for the logistics team to proactively manage inbound shipments by milestones. 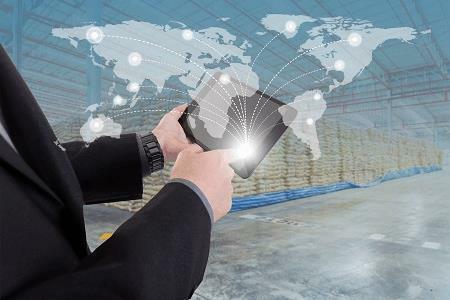 And, with accurate shipment information earlier in the supply chain, the retailer is able to improve store-level inventory allocations to reduce cycle time and achieve higher levels of availability. “We chose Amber Road for its supply chain experience, ability to ensure data quality and problem resolution focused approach. Amber Road’s hosted solution saves valuable time and effort, provides meaningful cost reductions, optimizes our shipping options, and improves our customer service,” said the Vice President Global Trade & Transportation. Since implementing Amber Road’s Supply Chain Visibility solution, the company is able to streamline its entire supply chain. The hosted solution helps it reduce costs, optimize shipping options, speed the flow of information between trading partners, and improve customer service. One central location for tracking critical shipment information across multiple sources, providing visibility to inventory in-transit and speeding the flow of goods from distribution to merchants. Advance notice of shipment information to improve cross-border logistics decisions. Proprietary Data Quality Management (DQM) technologies and business methodologies to ensure best-in-class information accuracy, completeness and timeliness for all messages exchanged between trading partners. Event alerting capabilities that anticipate potential inventory receipt and fulfillment issues and prompt rapid resolution before they impact availability. Robust functionality for measuring, analyzing and improving the performance of suppliers, carriers and service providers with user-defined reports, scorecards and performance indicators based on frontline data. Today, the apparel retailer receives notice of inbound shipments about 10 days sooner than it previously did when the vendor books transportation. While it has expanded to 40 international stores, it now has a smaller transportation department than when it was only in the United States. And, since Supply Chain Visibility is a hosted solution, the company did not need to use its own IT resources.